Subscribe to MYFMP Today and Improve Your Financial Future! Only $49.95! Complete unlimited access to the portal and management control panel, complete access to all financial calculators, multimedia screencasts and much more. Do you know what your credit score is? Do you know how much your score is costing you every month in lost wealth? Do you know how much you can save by increasing your score? We provide the answers to these questions and help you systematically keep your score at the highest level possible. Do you have a budget? Does it work for you? Do you know how to apply your savings to wealth building? We give you the tools to not only create a workable budget, but a system that you can use to "seize your savings" and use them to build your wealth and eliminate your debt. Are you paying high interest rates on credit cards, automobiles and other items? Do you know how much money you can save by lowering your rates? Our system will show you how to systematically reduce your interest costs on unsecured debts. Do you have a 30 year mortgage? Do you know how much interest you can save by accelerating your mortgage? We will assist you in developing a mortgage acceleration plan that will ultimately save you thousands of dollars in interest over the life of your mortgage. Have you ever wondered what it would be like to live a debt-free life? 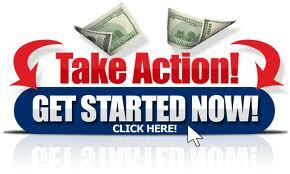 Our system will show you how to achieve financial freedom and live on a cash basis. While a member of The Financial Management Portal , you will have access to our support team to help you understand how to develop a plan that is right for you. At The Financial Management Portal, we take financial wellness seriously. The FMP debt elimination system has been developed and refover the last five years. Our program is easy to follow, and our team ensures it stays fresh with the most up‐to‐the‐date tips and techniques to help you achieve personal financial stability. The Financial Management Portal's comprehensive materials address your financial challenges and concerns at all stages of life. Whether you just became responsible for your finances or you want to plan for your financial security in your retirement years, our program gives you the information, tools and support you need to achieve your debt elimination goals. Budgeting is a cornerstone of any successful debt elimination plan. With the FMP system, you will have access to comprehensive budgeting tools that will help you find the most money possible to apply to your debt elimination plan. Our "Spend Smart" system shows you various ways to save money without sacrificing your lifestyle. Good money management skills are essential to your success. Our system gives you everything you need to assure your success. The Financial Management Portal's online financial wellness platform includes a comprehensive guide to repairing your credit. 17 multimedia screencasts covering 90 minutes explains EXACTLY how to repair your credit and keep your credit score as high as possible. A low credit score affects you in a number of ways that are not always easy to understand. Our system not only explains the credit repair process and provides comprehensive management tools, it also shows you where you can save the most money by repairing your credit. The FMP system goes to great lengths to provide the latest and most thorough rate negotiation information. This includes proper tactics, sequences and rebuttal processes. If you are capable of managing your interest rates successfully, you can save thousands of dollars per year in interest rate charges. This is becoming more important than ever as banks find clever new ways to increase their profits. Our system will help you protect yourself and make sure you do not overpay. If you have a mortgage, it is most likely the largest monthly expense you have. The most attention is always paid to the interest rate of the mortgage, when the fact that you are paying for that mortgage for 30 years is the real most important fact. Over the life of a 30 year mortgage, you will pay approximately 3 times the value of the home, regardless of the interest rate. There are multiple ways to accelerate your mortgage. How you should do it will depend on your lender and your capabilities. We go to great lengths to explain all the acceleration options available and how to implement a strategy. To successfully eliminate your debt and improve your financial well-being in the process, you must have a solid plan that you can follow. The FMP system includes a step by step blueprint-building process that will allow you to see the results of the work you do in the various areas of your debt. A successful blueprint format has to be flexible so that it can change as your circumstances change. With the FMP System you can adjust your plan as often as you need to. And we give you access to our support team to assist you every step of the way. Call 1-800-239-1264 We are happy to answer any questions you may have.